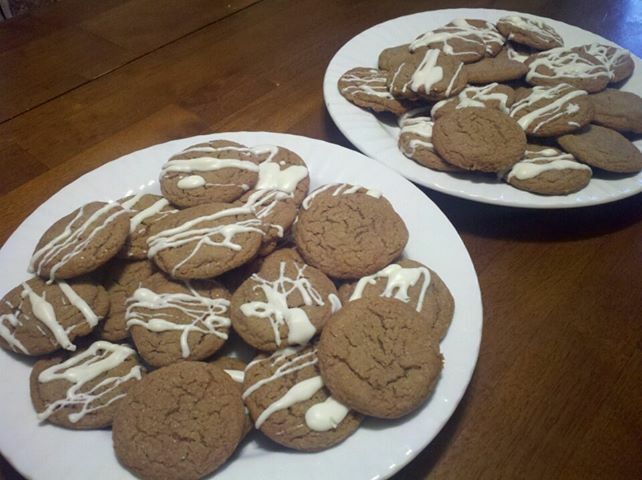 Preheat oven to 350 degrees F. In a large bowl, cream together the shortening, butter, brown sugar, egg and molasses. In a separate bowl, sift together the flour, baking soda, salt, cinnamon, cloves and ginger. Gradually stir in with the shortening mixture. Shape dough by rounded teaspoonfuls into balls. Roll in granulated sugar. Place balls about 3 inches apart cookie sheet. Bake 10 – 12 minutes. Immediately remove from cookie sheet and cool on a wire rack. If desired, drizzle with melted white chocolate. Makes about 4 dozen cookies.